Had a serious bout of Japanese food craving after being away for 3 weeks. 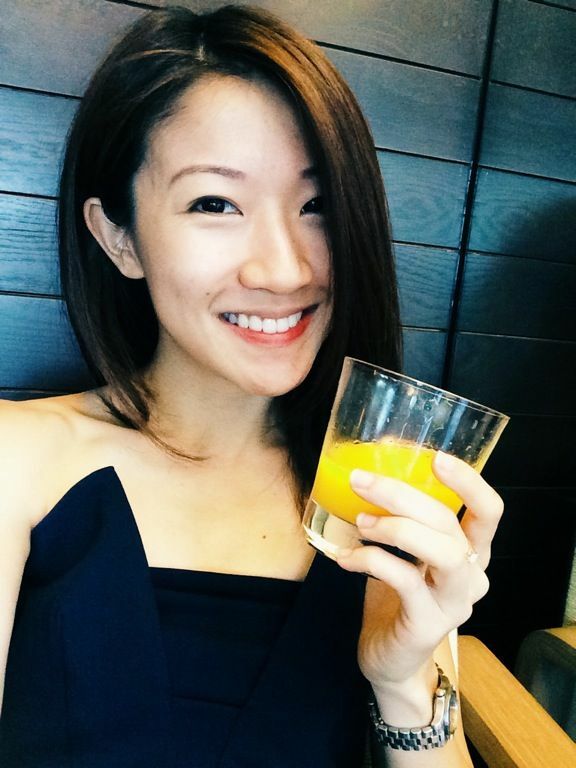 It's not that there isn't Japanese food in NYC (Nobu was fantabulous), but there isn't many options for good tasting and affordable Japanese fare unlike in Singapore. So for my birthday, i insisted on having Japanese food. S wanted to bring me to Akane but he didn't make a reservation and we were turned away at the guard house (they claimed it was only for Association members!). The fast thinking me directed him to Dempsey's Rakuichi. Heard from my friends that it's not easy to get a table at the Far East Shopping Center outlet, which is quite booked but no such issues with the one at Dempsey. 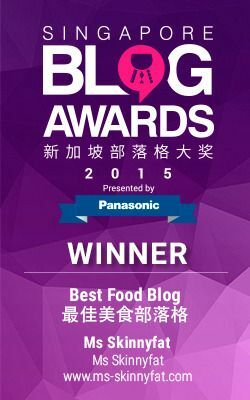 If you like your sashimi and Aburi sushi, this is really a place to visit. Small eaters we are so it was a mini course ($48), Zaru soba and California handroll for sharing between the 2 of us. 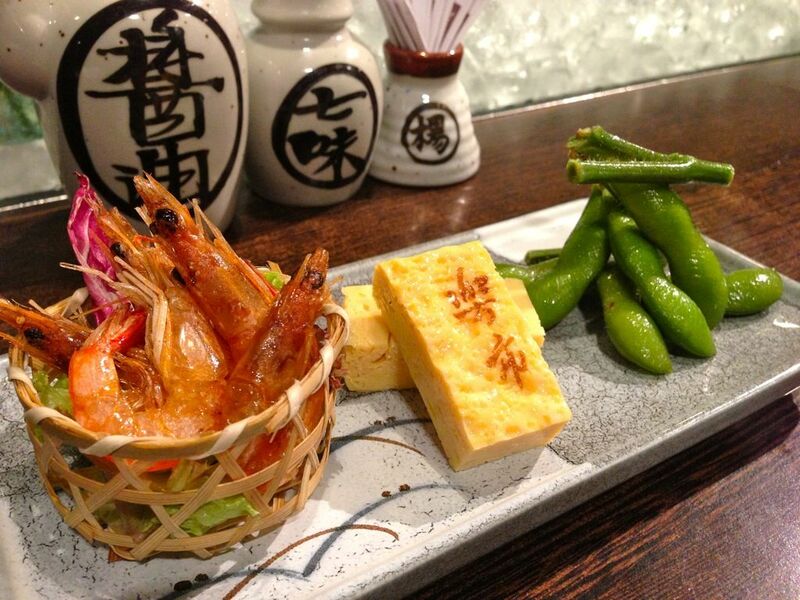 To start off the Mini course, we had the fried river shrimp, tamago and edamame. The shrimps could be more crispy in order to be eaten whole. I'm quite particular about this as i have this phobia of the shell puncturing my mouth. 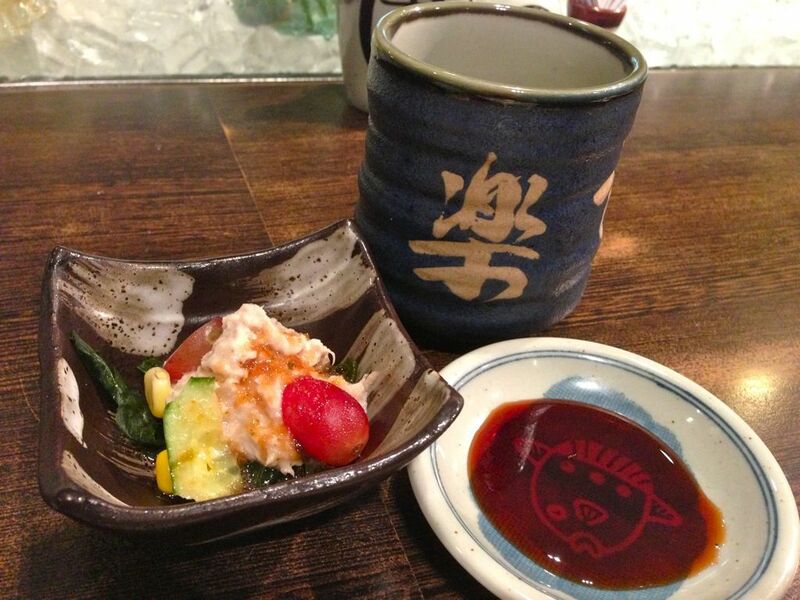 The egg was pre-prepared and commercial ie sushi chain quality. We moved to the counter as the walk in section had one too many mosquitoes. The other section was already reserved so we had no other place to go. 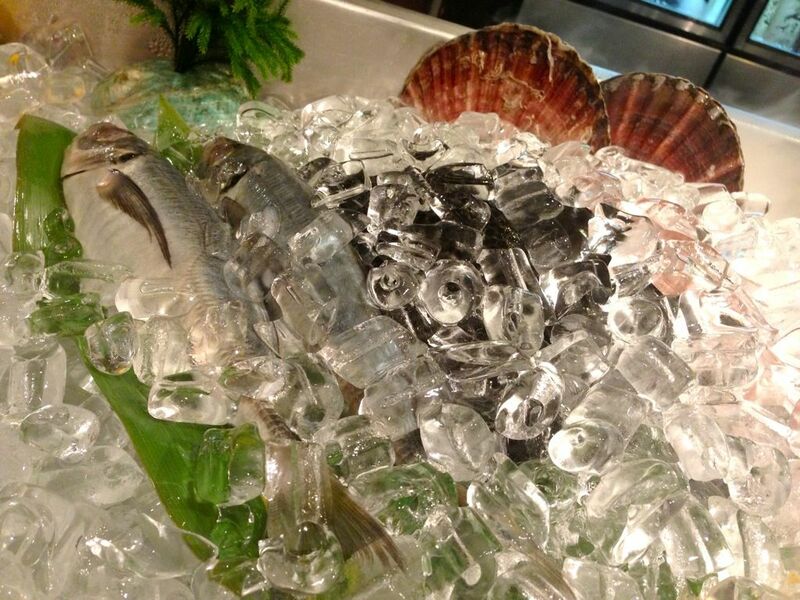 But that gave us a vantage point of all the fresh seafood on display. Oyster lovers would be glad to know that the ones served here are ginormous. 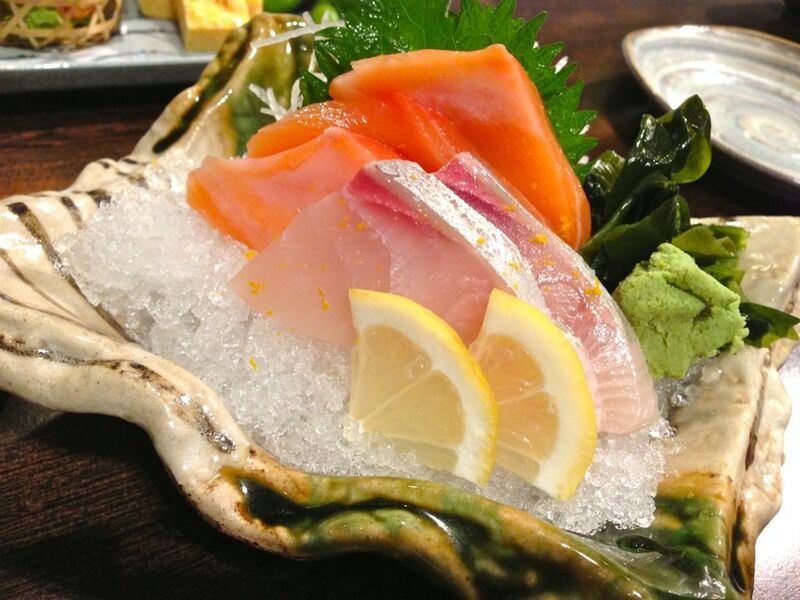 Rakuichi serves quality and fresh sashimi without breaking the bank. 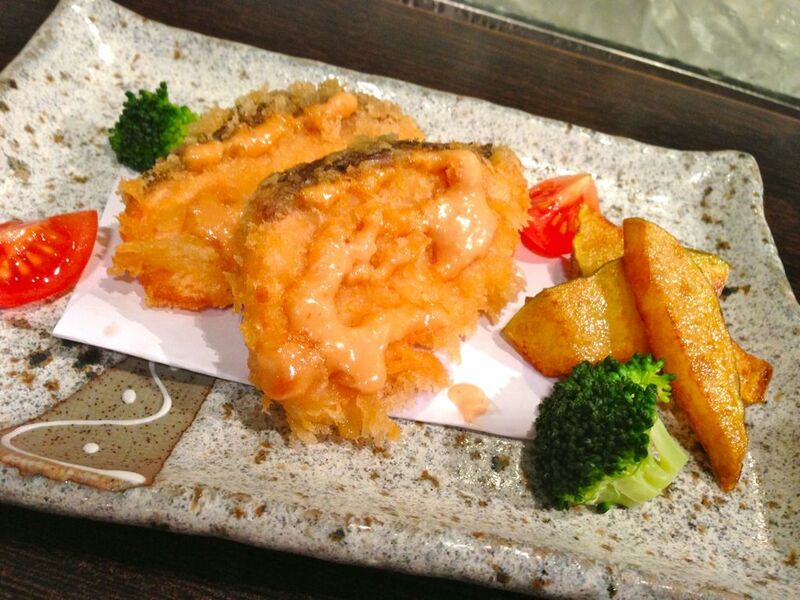 Love the buttery and smooth texture of the fish, indicative of fresh and not frozen fishes. 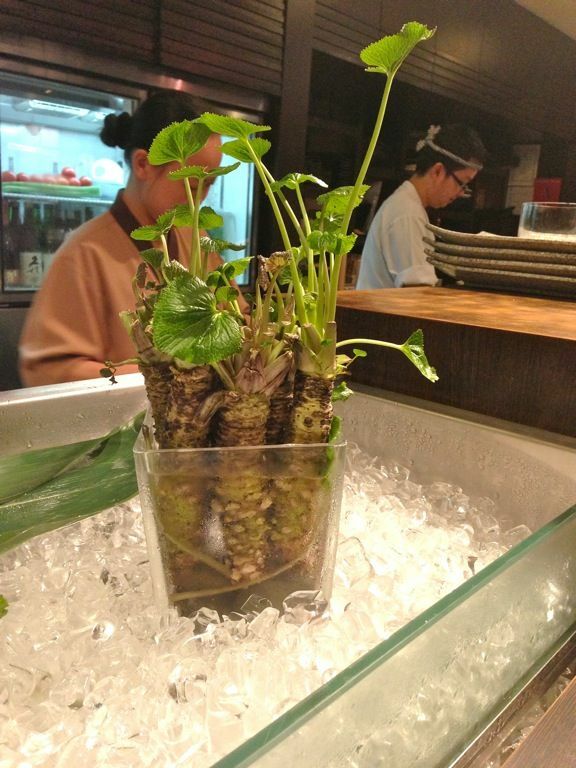 They are served with freshly grated wasabi, which IMO is a indicator of a quality Japanese restaurant. California roll was an a la carte order. 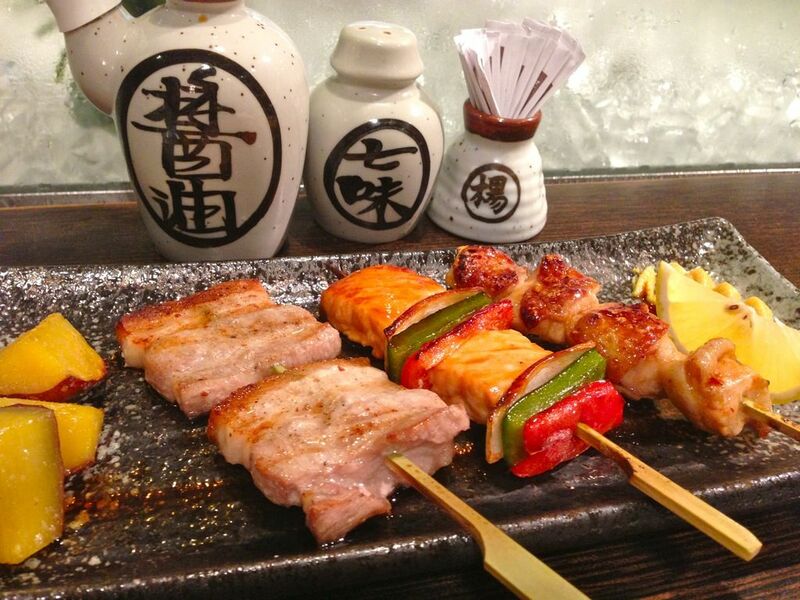 Skewers of the day included pork belly, salmon and yakitori. Each stick was nicely flavored accordingly to complement the different meats. Love the side of sugar roasted sweet potato! The Deep fried salmon was a little of a disappointment. I guess salmon should never be wasted in the deep fryer. This was dry and tasteless even with the mayonnaise. 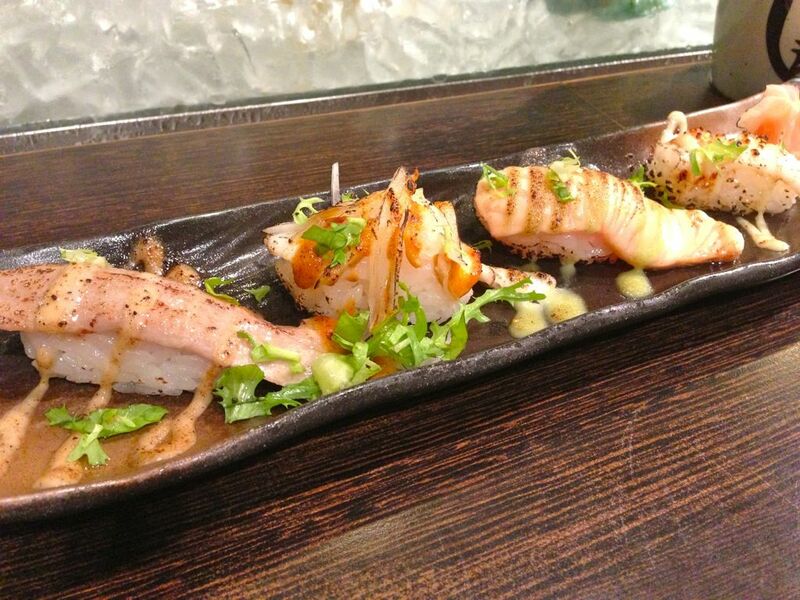 Highlight of the meal has got to be the Aburi platter. The meat was simply sublime and each piece was drizzled in a different cream/miso sauce. Perfect torching technique as i've previously highlighted in my Kaiho Sushi review. The kita-komachi rice, one of the best rice in Japan, accompanies the fish, adding that light vinegarish and sweet dimension. The little charred spots bring in some smokiness too. 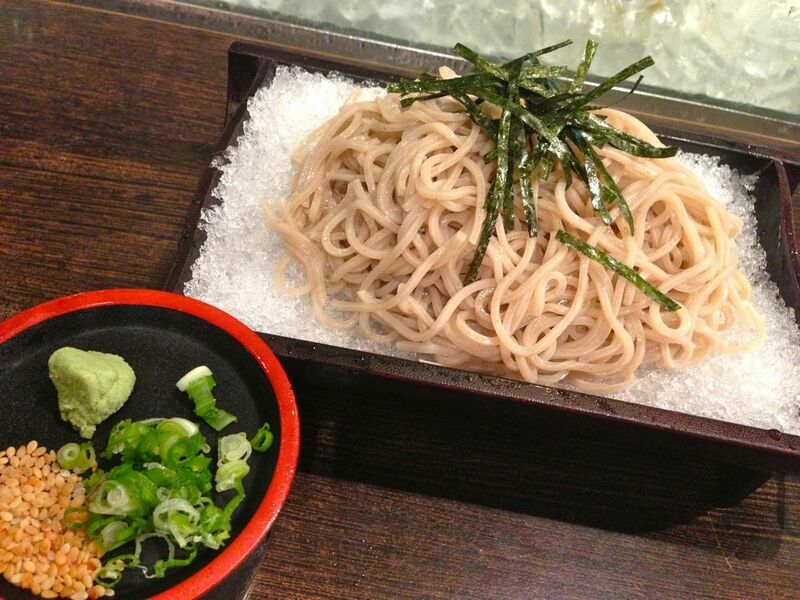 Zaru Soba was of the right springiness, definitely better than the top of the chain stores ie Sushi Tei. 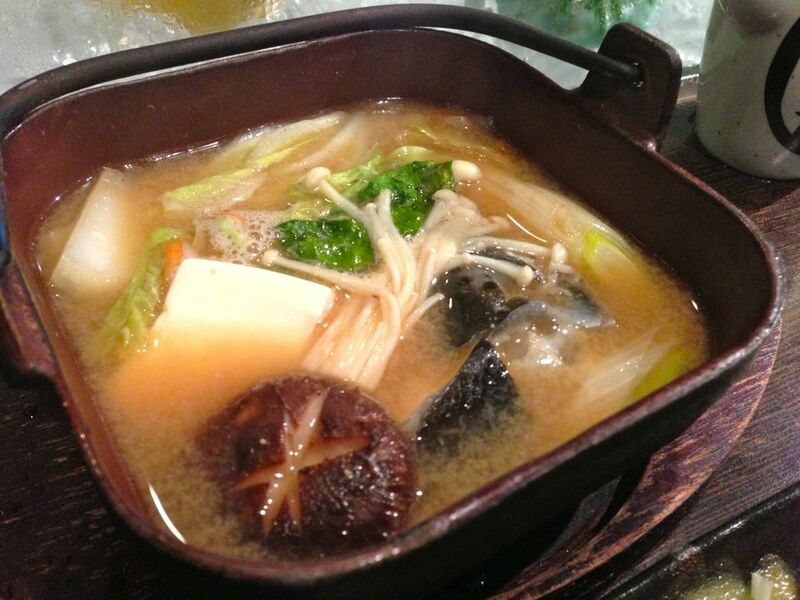 The Fish head miso soup in hot pot wasn't too fishy (me and my quirks). Just the right amount of sweetness from the seafood to go with the umami miso. Very comforting. Glad i've tried Rakuichi. Another addition to my quality Japanese restaurants that don't burn your pocket list. 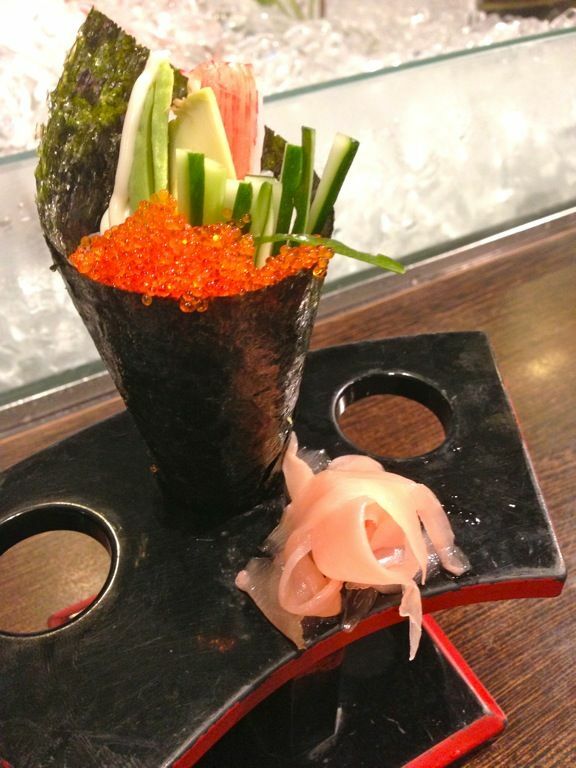 (Read about them here, here and here) You simply gotta have their Aburi Sushi and Sashimi for sure. Enjoy! the food is very awesome! the sets are super worth it. But one of my ex-contributors actually spent $1000 there with his gf. So it can be rather expensive. Woah that's quite a bit! One thing I miss about Japan is how u can get cheap and good sashimi practically everywhere.